Note: The ink imprint made with model JetStamp 790 will not adhere to metal and plastic (and slick surfaces). 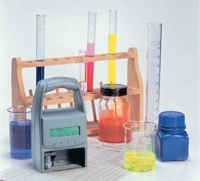 Click here for the model JetStamp 790MP Time Date Stamp, the model 790MP (MP=Metal/Plastic) product has a Quick-Dry, Permanent Inking firmware and cartridge. All you need for precise, Fully Mobile, Time Date Stamp printing...specifies who, when, where with Reiner's JetStamp 790 document stamp. 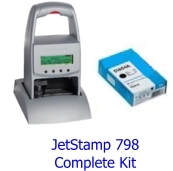 Complete JetStamp 790 Time Date Stamp Kit includes; (1) JetStamp 790 Mobile Time Stamp, (1) Charging Docking Station, (1) Black Ink Jet Cartridge, (1) USB Cable.